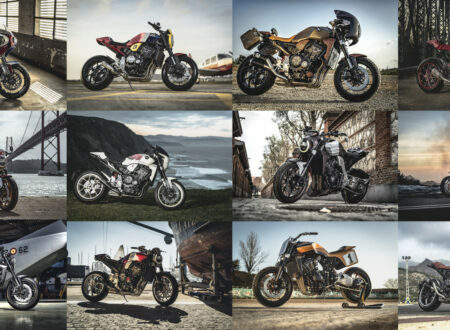 I have little doubt that OK-Supreme is one of the greatest motorcycle marque names in history, if not the best outright. 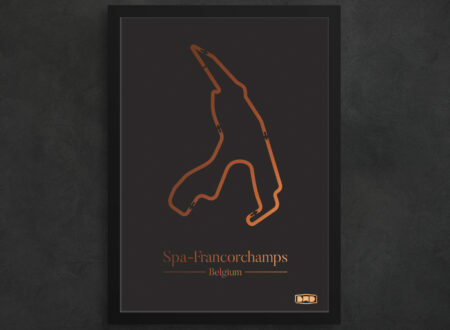 The brand started out as many early motorcycle companies did – by designing and building bicycles in the late 1800s before beginning to experiment with installing engines into their frames to create “moto cycles”. 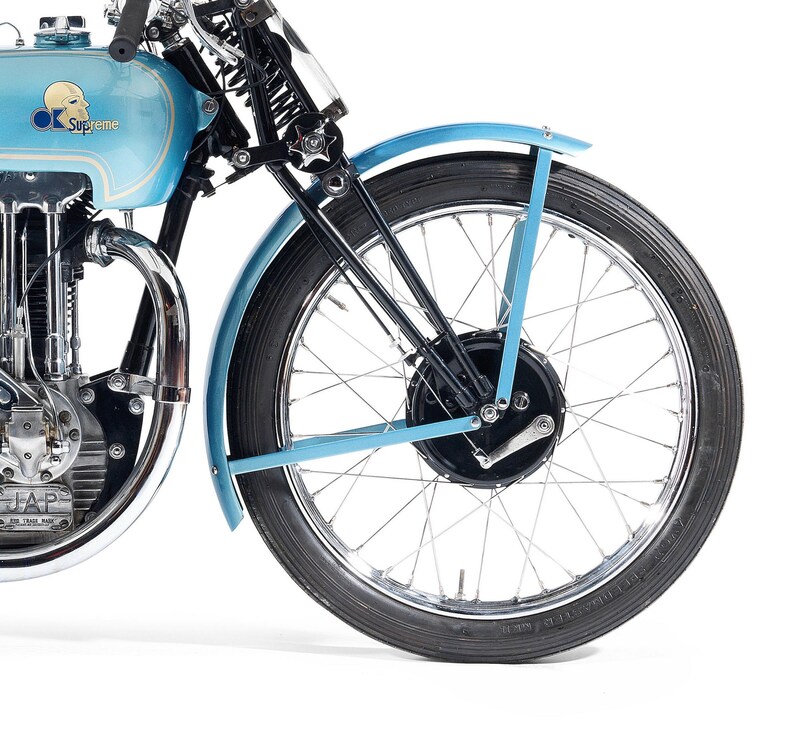 Originally named OK, the company was founded in 1882 by Ernie Humphries and Charles Dawes in England, by 1899 they were experimenting with powered-bicycles and by 1911 they had a two-stroke motorcycle in full production. 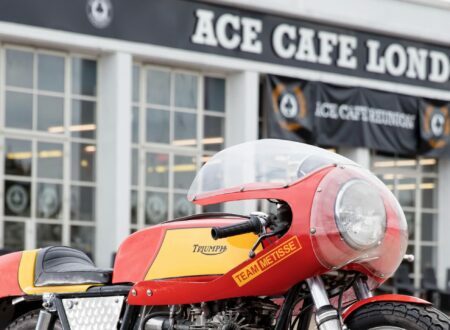 Early in the company’s life they brought in engines from outside manufacturers in order to significantly lower their capital outlay, and to ensure that their motorcycles could be immediately competitive. 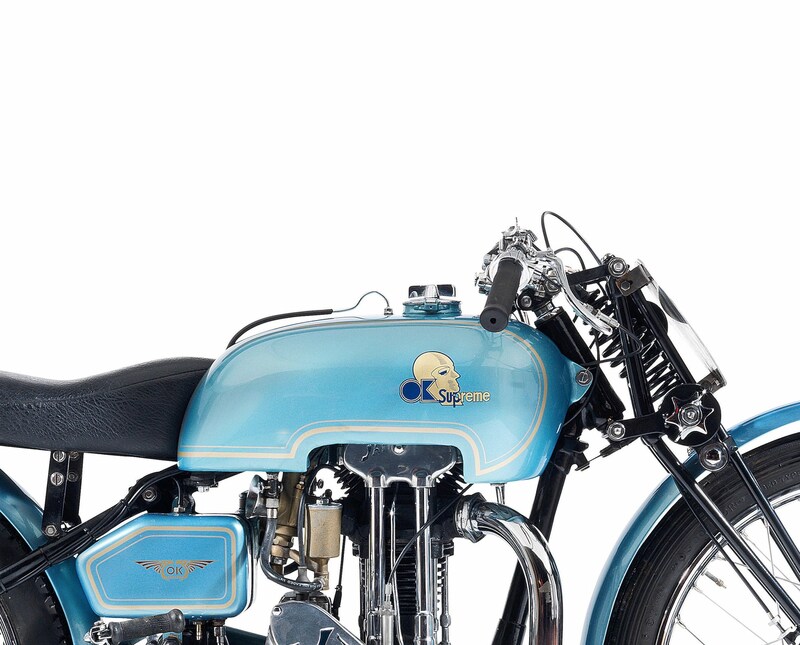 In the years before WWI kicked off the company built motorcycles using Precision, De Dion, Minerva, and Green engines. 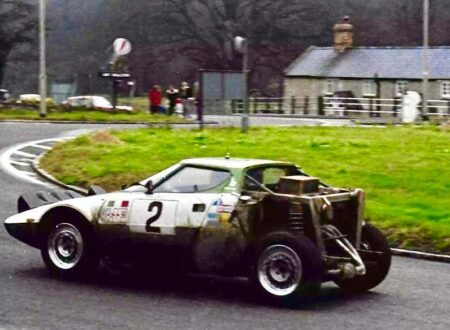 The first OK to campaign at the Isle of Man Tourist Trophy was in 1912, finishing in a respectable 9th place. 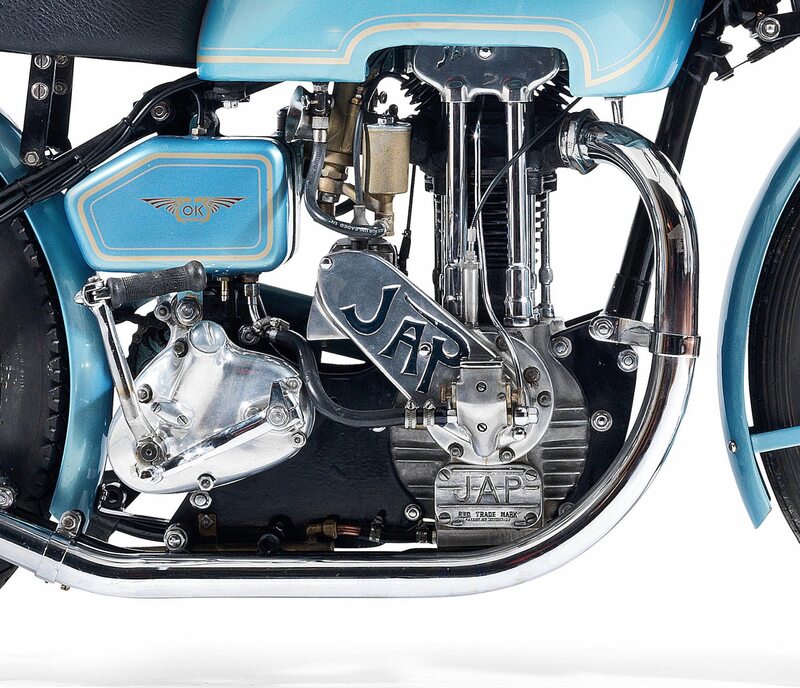 After WWI OK developed their own 300cc two-stroke engine (actually 292cc), but built other models using JAP (JA Prestwich), Blackburne, and Bradshaw engines in varying capacities. The engines being built by JAP were amongst the best in the world in the 1920s, and OK turned to the company more and more for engines. 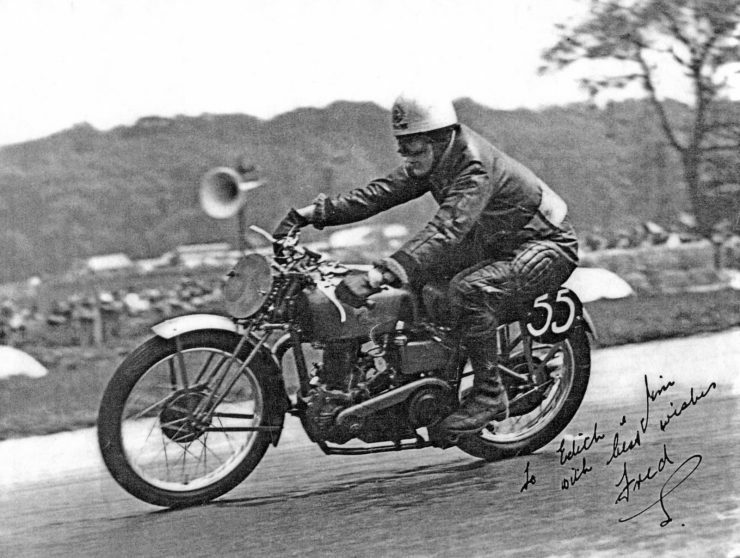 Throughout the 1920s OK competed multiple times at the Isle of Man, taking 6th and 7th in 1922 and even taking that year’s fastest lap when Wal Handley averaged 51 mph. 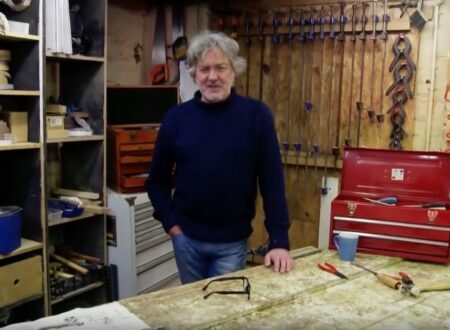 It was in 1926 when Charles Dawes left to start Dawes Cycles that Ernie Humphries changed the name from OK to OK-Supreme – perhaps taking a leaf out of the marketing book of Brough Superior. 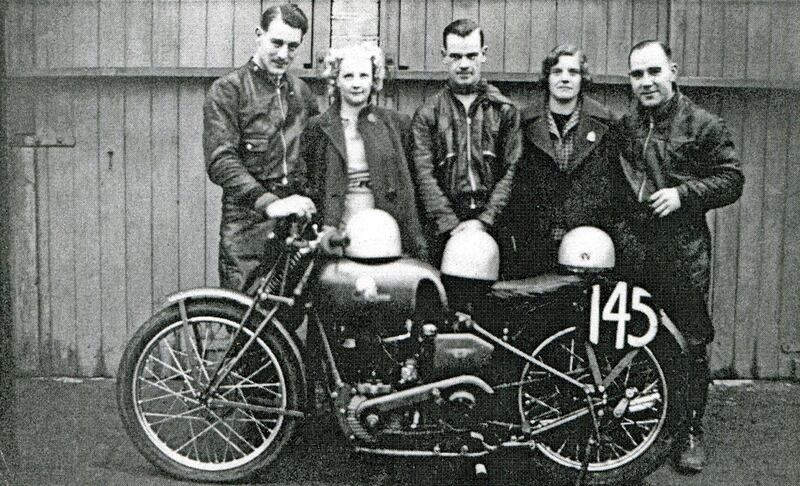 Interestingly a couple of years later in 1928, Humphries bought the bankrupt HRD Motorcycles in order to acquire their tooling and factory – he sold the rest of the company including the name to Phil Vincent who then went on to create Vincent Motorcycles. 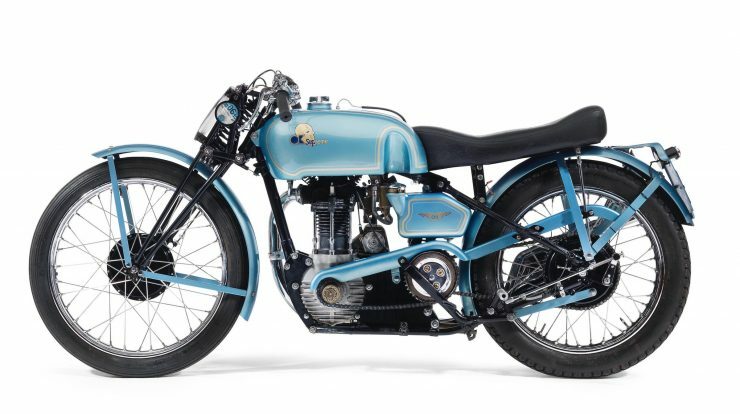 OK-Supreme would continue producing a series of interesting motorcycles throughout the 1930s, surviving the Great Depression as many of their competitors collapsed, but when WWII broke out in 1939 it spelled the end – almost. After WWII the son of the company co-founder Ernie Humphries, John Humphries, revived the company to build and sell a competitive JAP-engined OK-Supreme grass-track racing motorcycle until his untimely death in 1946. The bike you see here is a Road Racing Special built in 1939 with a five-stud JAP competition engine based on the Grass Track Special. 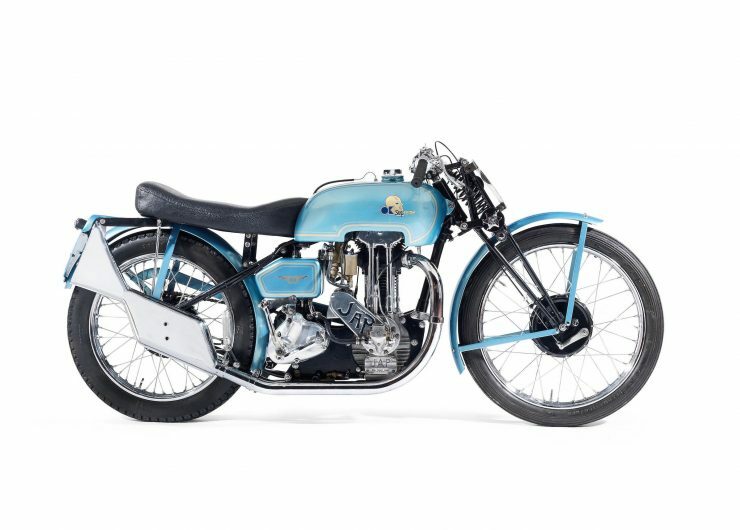 It was bought new by amateur pilot Freddie Vinyard from the Kings of Oxford dealership owned by Stan Hailwood – father-to-be of 9-time World Champion Mike Hailwood. 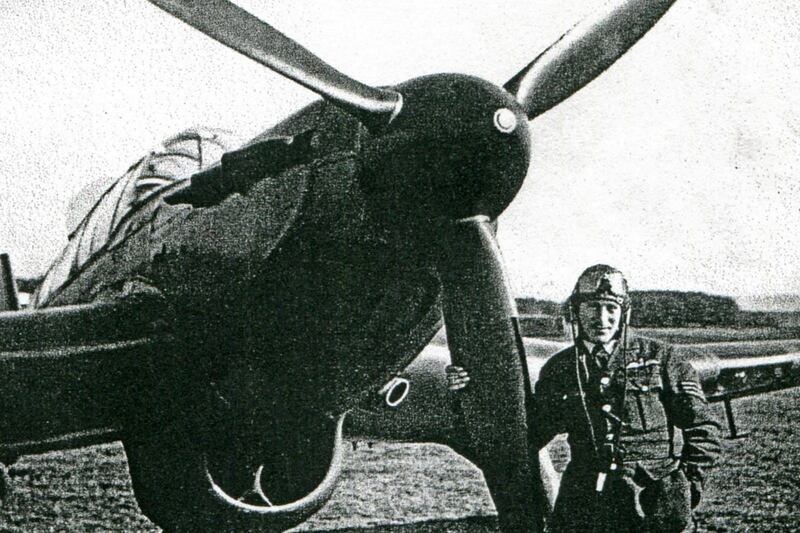 Freddie raced the OK-Supreme at Donington Park on Bank Holiday Monday the 10th of August 1939 wearing competitor number “145”, but he was called up for military service with the Royal Air Force shortly thereafter. 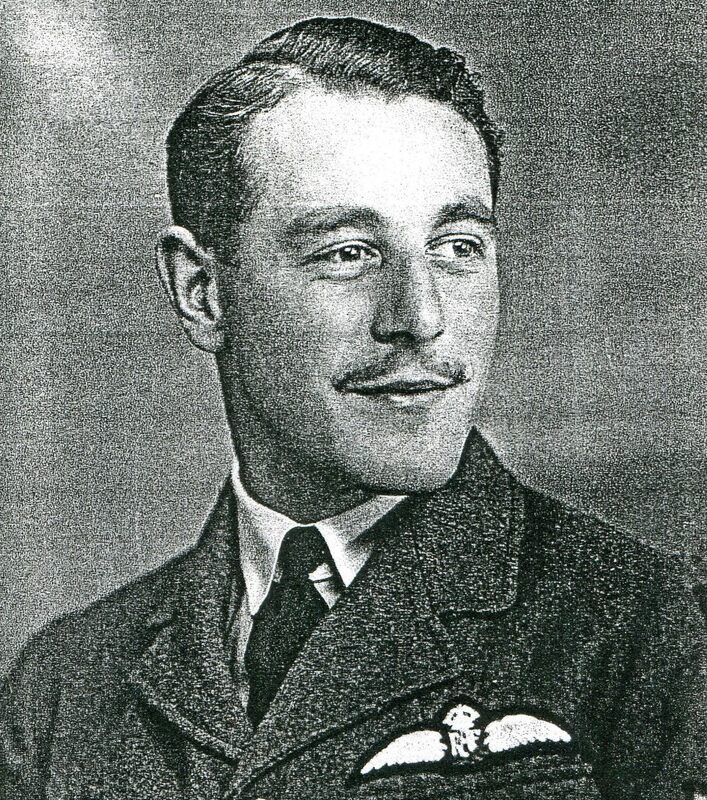 As a trained pilot he was assigned to the 64 Squadron based at Leconfield, near Beverley in North Yorkshire where he was tasked with intercepting German bombers heading for the nearby port of Hull, the second-most bombed city after London. In 1940 Sergeant Vinyard was killed in action and his name is recorded on the Roll of Honour in the Battle of Britain Chapel at Westminster Abbey. 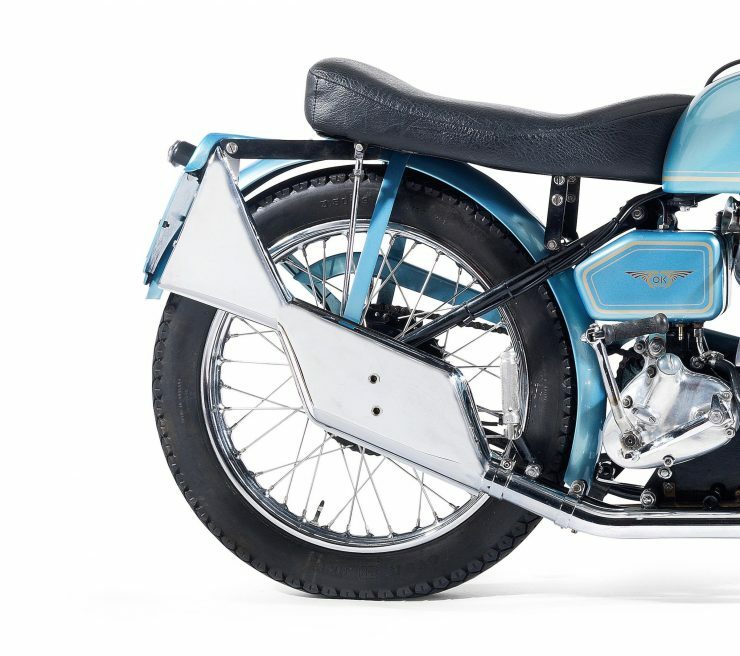 After the war the OK-Supreme passed into the hands of its second owner, who raced the bike as well, though the specific entries are thought to be lost to history. 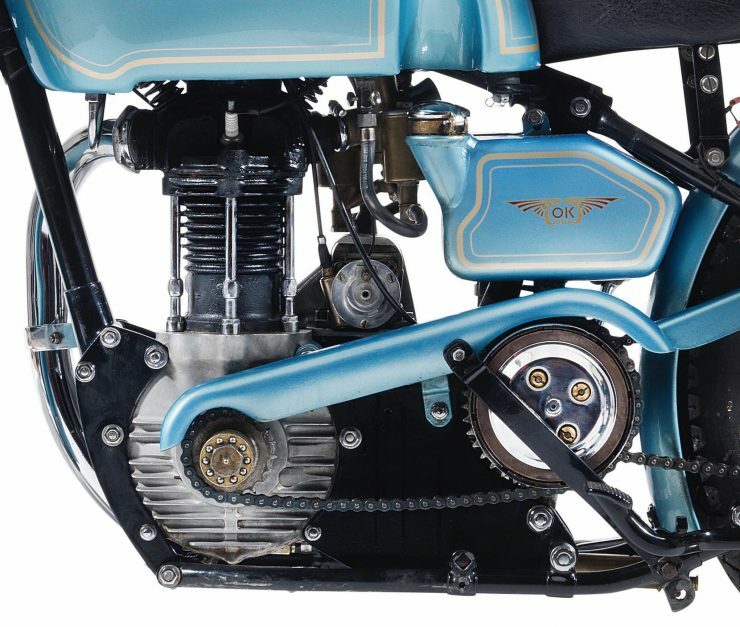 The current vendor acquired the bike in 2000, it was in remarkably original condition throughout and the restoration was relatively straightforward. 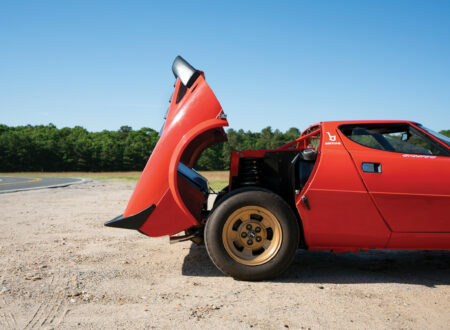 Since the restoration was completed it has been ridden in various VMCC events and Brooklands gatherings. 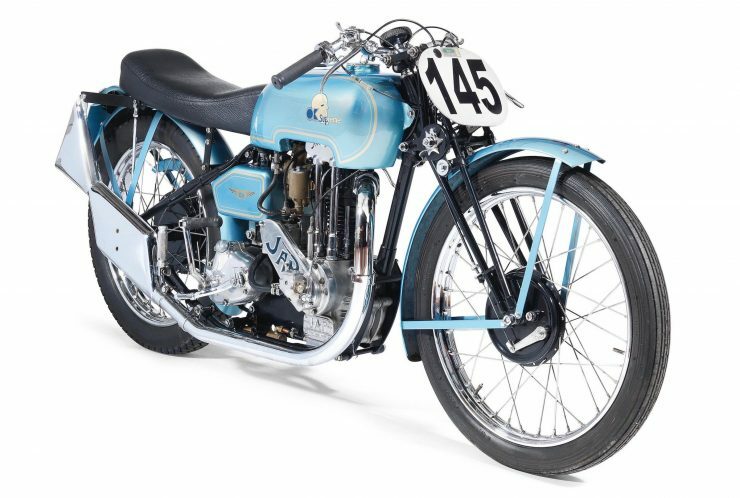 All-original OK-Supreme Road Racing Specials are highly sought after by vintage racing enthusiasts and collectors alike, this one will be rolling across the auction block with Bonhams on the 22nd of April with an estimated value of £17,000 to £22,000. If you’d like to read more about the RRS or register to bid you can click here to visit the listing.